The Prime Minister’s announcement for the need of a new constitution, one that will be in keeping with those found in developed countries, is quite welcome. The 1978 Sri Lankan Constitution is primitive. It is a shame on the nation. And, a change is certainly needed. However, a reminder is in order. The making of a constitution is the sole prerogative of the people. Both the 1972 and 1978 constructions were attempts by the respective governments to usurp this fundamental prerogative of the people. Naturally, both these constitutions brought much misery to the people; they virtually made constitutionalism an alien concept in Sri Lanka. In India, however, when Indira Gandhi tried to do the same, the Indian Supreme Court stopped her, stating that the elected legislature only has legislative power and the making of constitutions does not fall within that power. That power belongs to the people. The famous Keshavanda Bharathi v. State of Kerala, decided 40 years ago, has been celebrated as the case that saved the Indian democracy. It is in this case that the Supreme Court formulated the basic structure doctrine, which meant that the basic structure of the Constitution cannot be amended by the legislature. The doctrine of the supremacy of the constitution was thus firmly recognized. If a new constitution is to be introduced in terms of the constitutional traditions of developed countries, such a construction must, most importantly and finally, settle something critical: what is the basic structure of the Sri Lankan Constitution? The Soulbery Constitution had a basic structure, which was the structure of a liberal democracy. That structure is also found in all the constitutions of the developed democracies. The core element of that basic structure is the duty of the State to recognise and protect the liberties of all individuals. Both the 1972 and 1978 Constitutions were attempts to reject or undermine this fundamental duty of the State – to recognise and to protect the liberties of all the individuals. Under the guise of the supremacy of Parliament, the 1972 Constitution attacked the notion of liberties of individuals. The 1978 Constitution, by incorporating national security laws into the Constitution itself, dealt a deadly blow to the very notion of the liberties of individuals. It was through this formula – making national security laws part and parcel of the Constitution – that J.R. Jayewardene armed himself to attack trade unions, political parties, and the minorities. 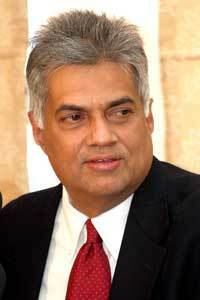 The Executive President thus became capable of even authorizing enforced disappearances by merely using emergency laws. Blatant abuse of State property, in its most extreme forms, such as what took place under Mahinda Rajapaksa’s watch, became possible only due to 1978 Constitution. Unlike the Indian Supreme Court, Sri Lankan courts, have not proven to be capable of defending the basic structure of a liberal democracy in Sri Lanka. Thus, a new constitution, in keeping with the best traditions of developed countries, would also require a change in the mentality of judges. This is so their failure to defend the basic structure of the Constitution would not cause a suicide of democracy. The task of making of a new constitution is a necessary and a serious task. The Sri Lankan people do not need one more constitution made in a fast food style. Now is the time for people to take the initiative to bring the issue of their liberties to the forefront of their deliberations.